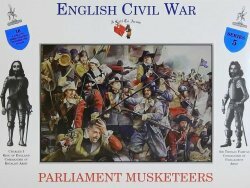 Now you can recreate the great battles of the English Civil War with these highly detailed 1:32 scale sets from Call to Arms. This Series 5 set of Parliament Musketeers includes 16 figures and are shipped to you mint in box. A terrific set of highly sought after figures! 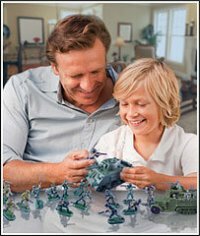 A great addition to any toy soldier collection or diorama. See the entire collection of Call to Arms 1:32 scale figures in our store today!